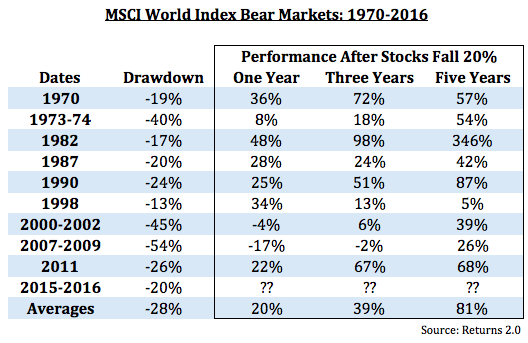 Lowest Number Of Bulls In 23 Years! and the S&P 500 and Dow closed today above their 50-day moving averages. /wp-content/uploads/2018/03/logo.png 0 0 Stockradar /wp-content/uploads/2018/03/logo.png Stockradar2016-02-29 03:34:092016-02-29 03:34:09Lowest Number Of Bulls In 23 Years! 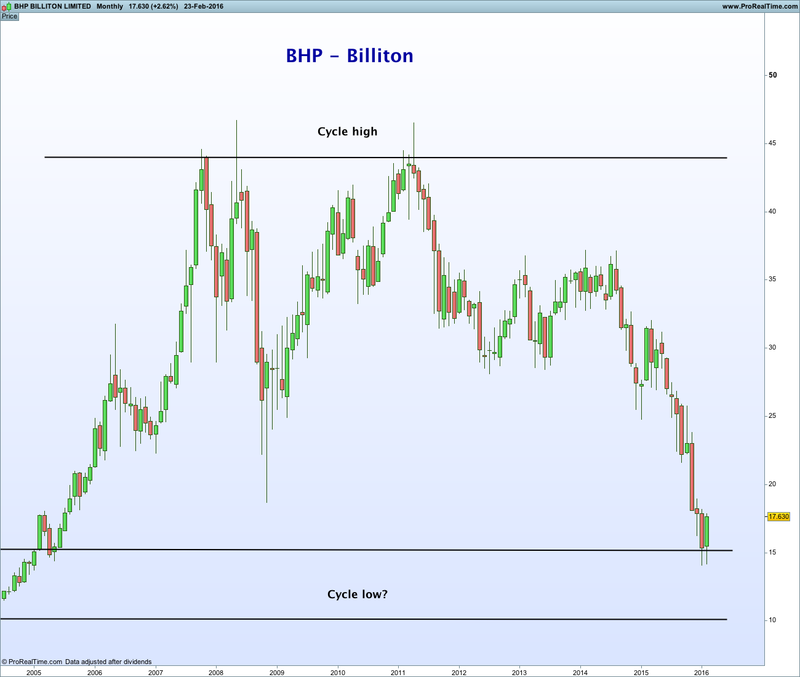 BHP – bottoms are tough! Every one is interested in BHP and whether we are in an opportunity phase or heading for more of the slippery slide down. 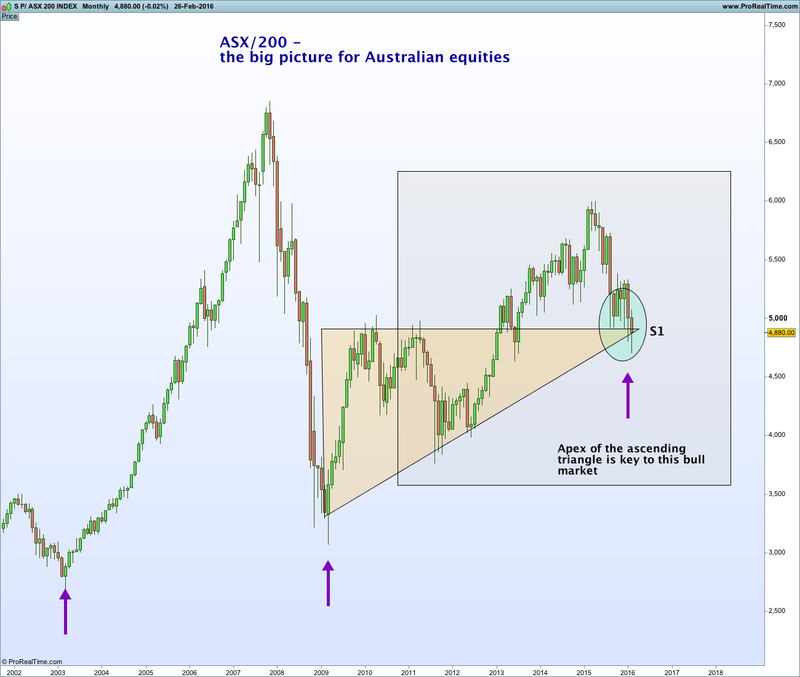 BHP has slid the scales of disaster in recent years to levels we though not possible (the stock market does that) and fear now paralyses the potential buyers who would have bought with their ‘ears pinned back’ if BHP ever got to $15.00 just a year or two ago. BHP hit a low of $14.00 as the dividend ‘slash’ expectation drove prices down and when the reality hit yesterday the stock rallied and everyone said jolly good job capital management should be foremost and that’s the end of it. Today to the surprise of many of these hopefuls the stock drops $1.00. Eh! Let’s take a view of perspective. BHP is a big, big company on the global stage. The adjusted high has been $45.00 over the last ten years and the low $14.00. We are now at the low end of that scale at $17.63 right now. The dividend policy has been wisely changed and BHP having cleared that slate is clear to move forward and rebuild. The three major commodities it depends on for revenue are iron ore, oil and copper, which are all sagging badly and are also near the bottom of the cycle. Not at, but near, a clear distinction as the BHP share price also is – near the bottom. The somersaulting share price over recent weeks and days is typical of changeable sentiment at lows of a cycle. Fear turns to hope which is quickly shattered again and again and on goes this cycle for a period which is quite normal. Detach your mindset from the somersaults and take a view of perspective on what is a great company being offered at a very cheap price. We will wake up in a couple of years and go wow what a ‘gimme’ that was – somewhere around $15.00. It might be $10, it may be we have already seen the low at $14.00, who’s to know. The rally to nearly $18.00 is a part of the process as are the ensuing disappointments as we see today. Don’t be disheartened and take the longer-term view of perspective. What alternative do we have? Unless YOU have a crystal ball! As to the shorter term ‘trigger’ for a rally we’ll have to wait and see but Stockradar is ready to pounce when the time is right. /wp-content/uploads/2018/03/logo.png 0 0 Stockradar /wp-content/uploads/2018/03/logo.png Stockradar2016-02-24 00:45:002016-02-24 00:45:00BHP - bottoms are tough! Why do I like a new high in price regardless of market ‘noise’? 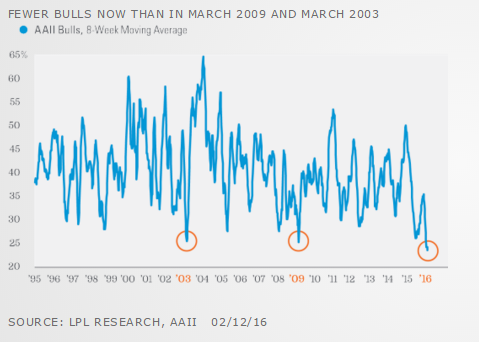 The new high is an excellent gauge of strong demand. This is especially notable in times of weak ‘general’ market sentiment. 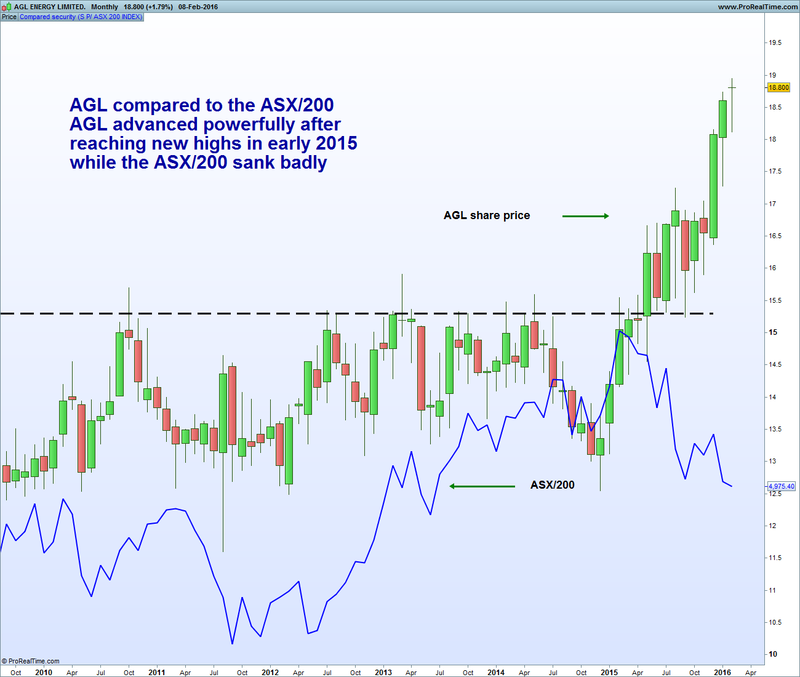 As buyers are prepared to pay new high prices for a stock it is a strong indication they expect higher prices. If the price move to new highs is endorsed by expanding volume this is also a indication there is a strong possibility higher prices will follow. Why? Despite their being a plentiful amount of sellers, which is typical at price highs, the buyer’s ability to absorb this selling and still forge higher prices is a bullish sign. These price levels usually attract high volatility as trader emotions often run high at these points so it is an essential part of any trading process to work with stops to control your risk to a predetermined amount. /wp-content/uploads/2018/03/logo.png 0 0 Stockradar /wp-content/uploads/2018/03/logo.png Stockradar2016-02-09 01:18:092016-02-09 01:18:09Why do I like a new high in price regardless of market ‘noise’?